Please note that Member Profile is only available for Basketball, AFL, Softball, NRL (Rugby League) and Touch. To login in to the Member Profile, follow these simple steps. 1. 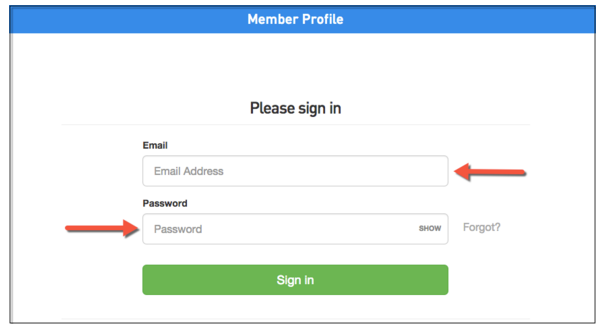 Use your email address and password to log in to the Member Profile. Please note: if you are logging into profiles for different sports, the colours and logos on the page may be different. 2. 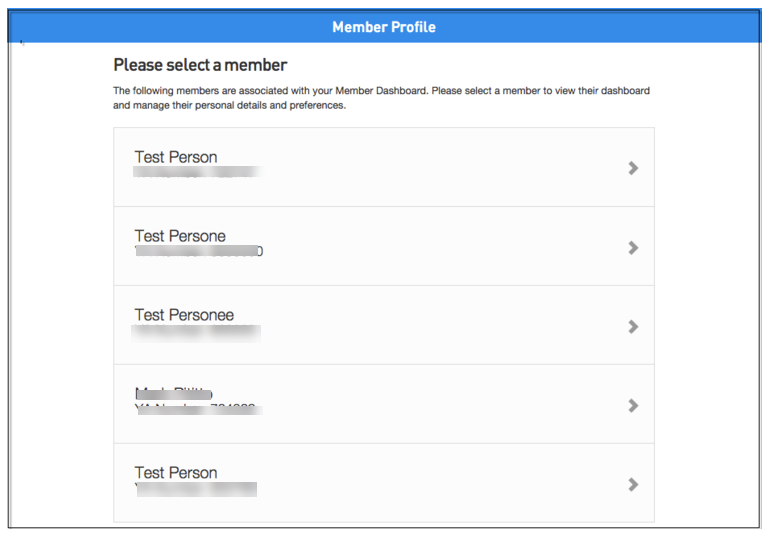 If an Email/Password is linked to Multiple Members, the user will be given the option to choose which member dashboard they would like to go in to. 3. Once you have successfully logged in, you will see your member profile. You can change the member on the right hand side of the page. To do this, click 'Select Member'. A drop down of those members who are linked will appear. Simply click on the name to change to their dashboard. 4. You have the ability to click through the menu headings on the left hand side. Note: if some information is greyed out, this is information that you are unable to edit yourself, so you will need to speak to your club directly as they will need to change this information for you. 5. Click 'statistcs' to view any information that has previously been recorded. 6. Here you will see a list of any previous playing history and statistics. 11. If you want to log out, click 'Sign Out'. If you have multiple children, they can all be accessed through the one member profile. The unique identifier is your email address. Note: If you would like more specific information related to this like how many exact games have been played etc, please contact your league and/or club who can run a report to gather this information for you. Please contact them directly if you would like this information.